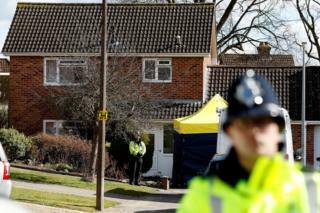 Detectives believe Mr Skripal and his daughter Yulia first came into contact with the poison when it was sprayed on the property’s door handle. The replacement of the roof timbers is a “precautionary measure”. Speaking to BBC Radio Wiltshire, Alistair Cunningham, the chair of the recovery coordination group, said: “the whole house had to be searched, including the roof space. Contractors will cover the house and garage with a “sealed frame”, according to a letter written by the council’s director of public of health, Tracy Daszkiewicz. She said the risk to public health remains “low”. The council, he said, would be ready to purchase the house if Mr Skripal decided to sell it: “Our concern is that if this house were sold, that it should be sold for the right reasons, i.e. this is a family home and should remain a family home. 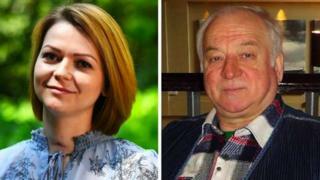 Mr Skripal, 67, and his daughter – who was 33 years old at the time of the attack – survived the attack which Prime Minister Theresa May said had “almost certainly” been approved by the Russian state.